Harajuku aqua-haired guy in oversized deconstructed clothing fashion with net shirt, sweater, houndstooth print shorts, ankle boots and accessories. Harajuku guy in ribbed sweater, turtleneck shirt, over the knee patchwork denim shorts & boots. Harajuku monster girl with pink twintails and police hat wearing a sheer Glad News dress, UNIF flames backpack, and high heels that look like retro roller skates. Harajuku girls wearing resale and handmade fashion along with items from Gallerie Tokyo, Otoe, Emoda, and Tokyo Bopper. 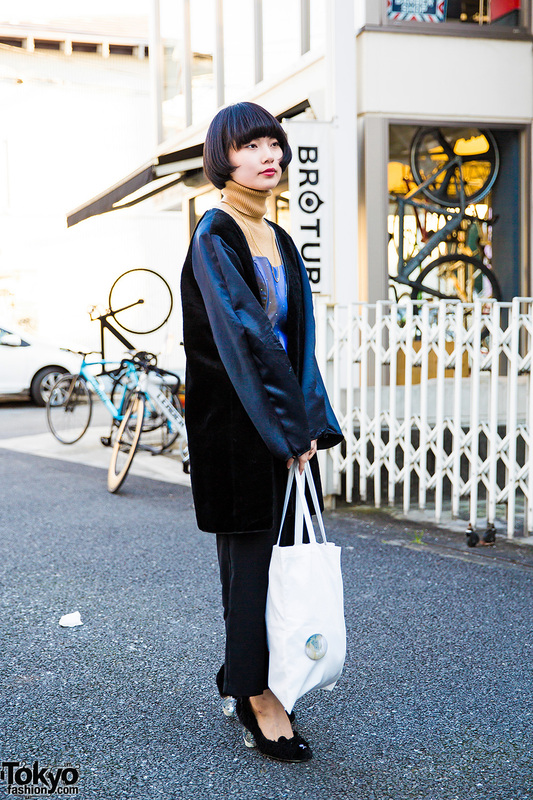 Harajuku girl in turtleneck and tank top, velvet coat, pants, tote bag and block heel teddy bear shoes. 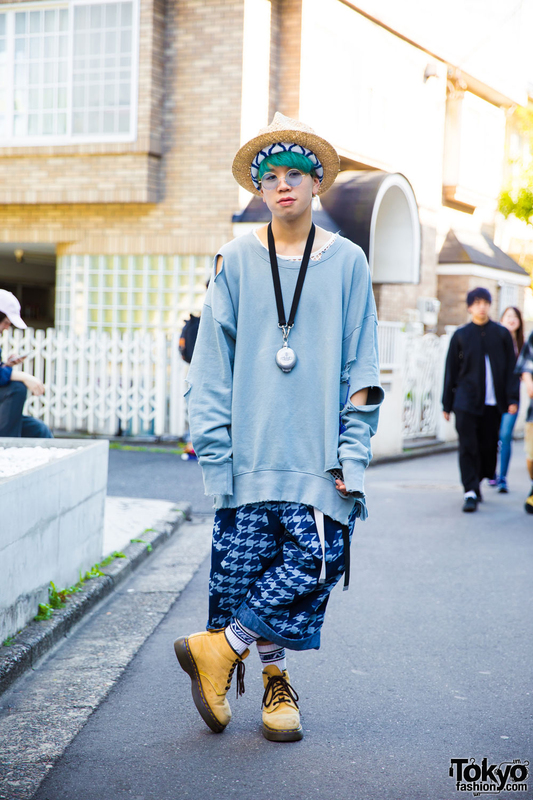 Harajuku guy wearing an oversized hoodie over a white turtleneck and jeans, with lace-up boots, a cap and pendant necklace. 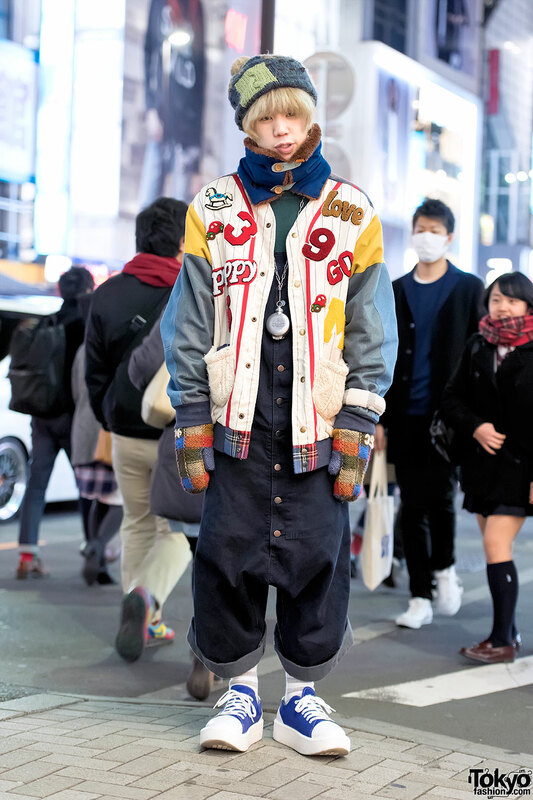 Harajuku guy with a jacket by the Japanese brand HEIHEI over Christopher Nemeth overalls, a knit cap, gloves, and Tokyo Bopper footwear.